Singer-songwriter Hayley Orrantia, who plays Erica Goldberg on the hit show "The Goldbergs" will be performing at Rams Head On Stage on April 21! * 1. 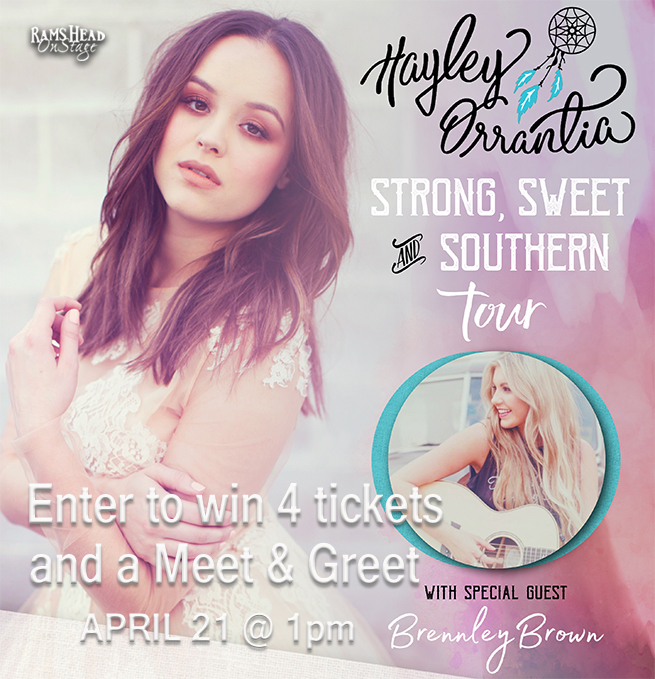 Enter to win 4 tickets and a Meet & Greet with Hayley Orrantia on April 21st at 1pm. *All Ages Show! *No purchase necessary. All Ages welcome. Winner chosen April 20th at 5pm and notified via email provided. By entering this contest you agree to receive emails from Rams Head On Stage.